Optimize Consulting is an organizational improvement firm providing optimized strategy execution in the Federal and Commercial markets worldwide. Optimize's award-winning approach is based on the "Organizational Optimization" framework and has made an impact of over $3B in value to their clients. Organizational Optimization enables your organization to achieve optimal strategy execution by aligning the organization, prioritizing strategic improvements, minimizing risk and maximizing mission effectiveness and operational efficiency. 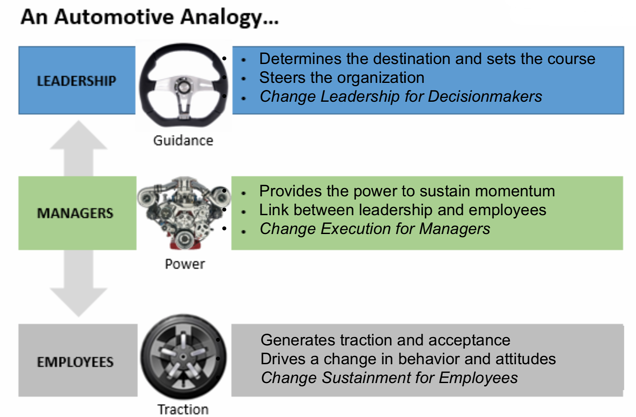 It is a fresh new way to evaluate your organization, assess its current cultural health and strategic performance and set it on a path for optimal growth and prosperity. Organizational Optimization is explained in the book by the same name published in 2014. Optimize Consulting is a certified Service-Disabled Veteran-Owned Small Business and a certified SBA 8(a) firm with security clearance. Optimize Consulting has a strong reputation for results at the highest levels to include Pentagon awards for improvements with the Department of Defense. Moreover, it has had considerable benefits with operational excellence since they embarked on this journey several years ago, but how have they sustained this in the organization? Download this slide deck to see Robert Hutcherson and Lee Winters discuss their journey and learn about how to transform your organisation to a future state of optimization. 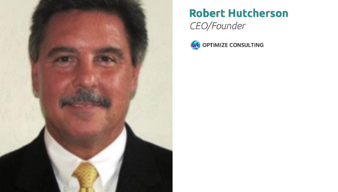 Robert Hutcherson is the CEO/Founder of Optimize Consulting, a organizational improvement firm providing strategic improvement solutions, which has been successful at improving federal and commercial organizations to include over $3 billion in cost savings plus has been associated with multiple improvement awards. Mr. Hutcherson created the “Organizational Optimization” methodology in 2013 and authored the book in 2014. He is a certified Lean Six Sigma Master Black Belt and Senior Member of the American Society for Quality. He has a Master’s in Business Management and Bachelor’s in Industrial Engineering. 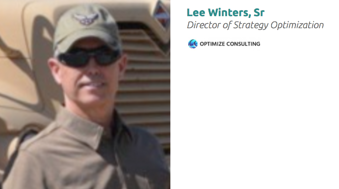 Lee Winters currently serves as the Senior Director of Strategy Optimization for Optimize Consulting. He has over twenty years of international experience in strategy development and deployment, enterprise organizational transformation, global supply chain, operations, and program management across the Federal, Public and Commercial sectors. His commercial experience includes General Electric, IBM, Accenture, and CGI. His tenure as a US military officer included combat operations, program management, acquisition, and command positions. As a certified Lean Six Sigma Master Black Belt, he has led numerous enterprise level teams that garnered over $ 1.2B in validated savings and operational improvements. At Optimize Consulting, he has leveraged his extensive experience and knowledge to help develop and deploy a unique, effective systems approach to organizational optimization.